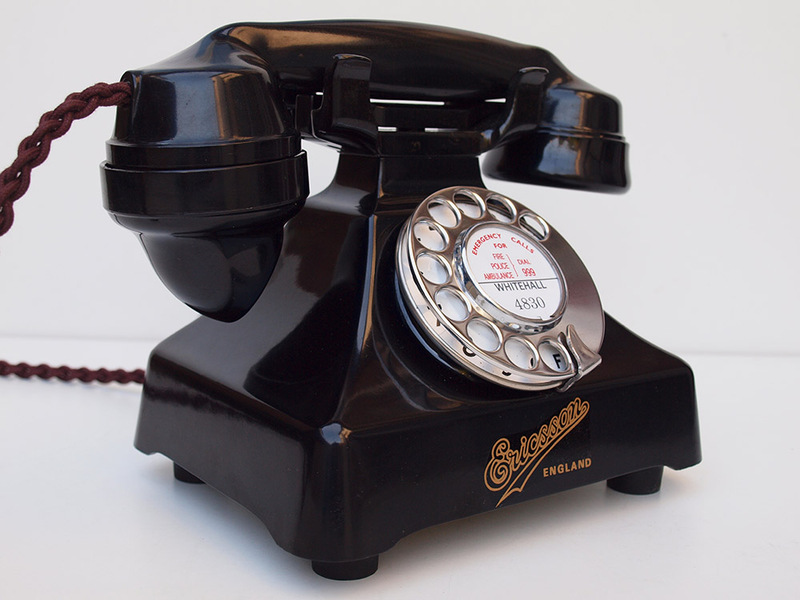 A beautiful 1930s telephone. 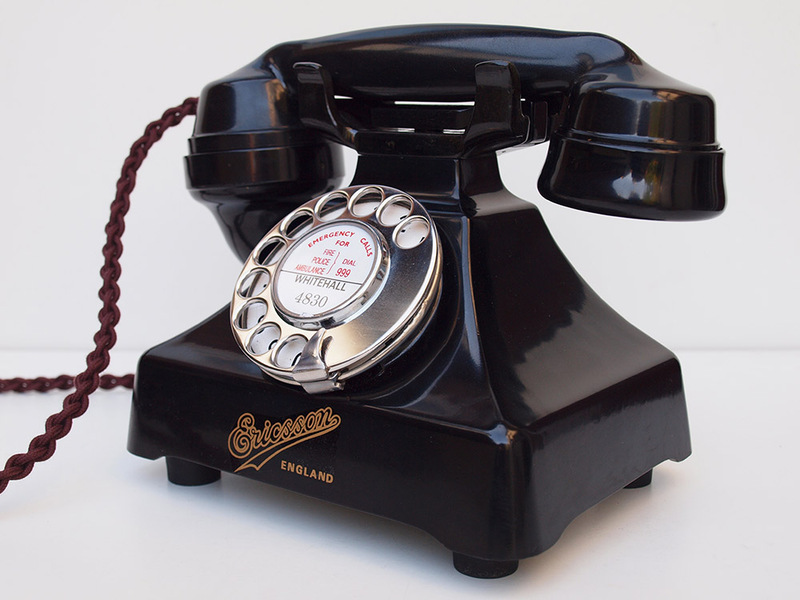 A rare telephone to find that is fully restored and working. This is a very hard to find model. 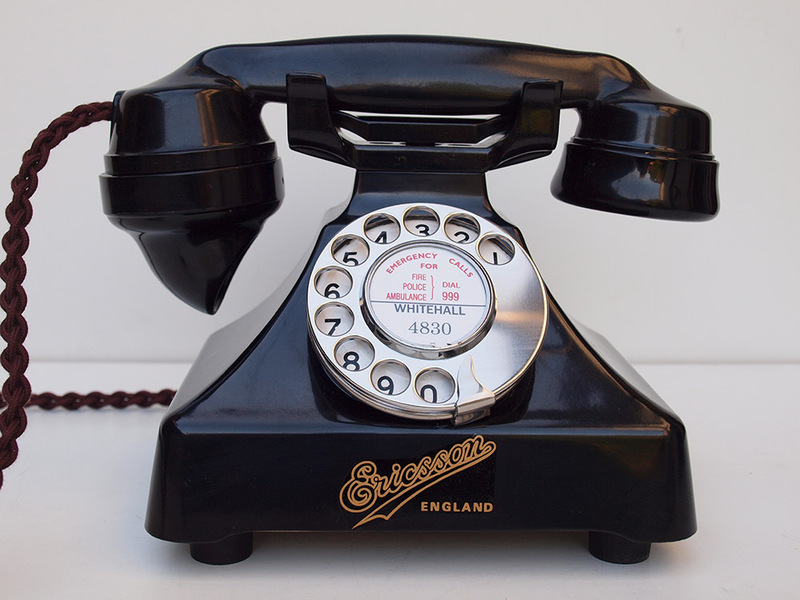 This one was made for a company telematic which would have provided telephones for business use etc. As you can see this is the beautiful model with scalloped base. It has been stripped down and re built after each part has been cleaned and polished. It has a GPO No10 enamel faced dial, the early 162 type Bakelite cradle and wonderful double gong bells with a lovely distinctive high tone. I have fitted this one with a very best quality hand plaited braided handset cord, an electronic microphone and a quality D shaped black line in cord made by me. 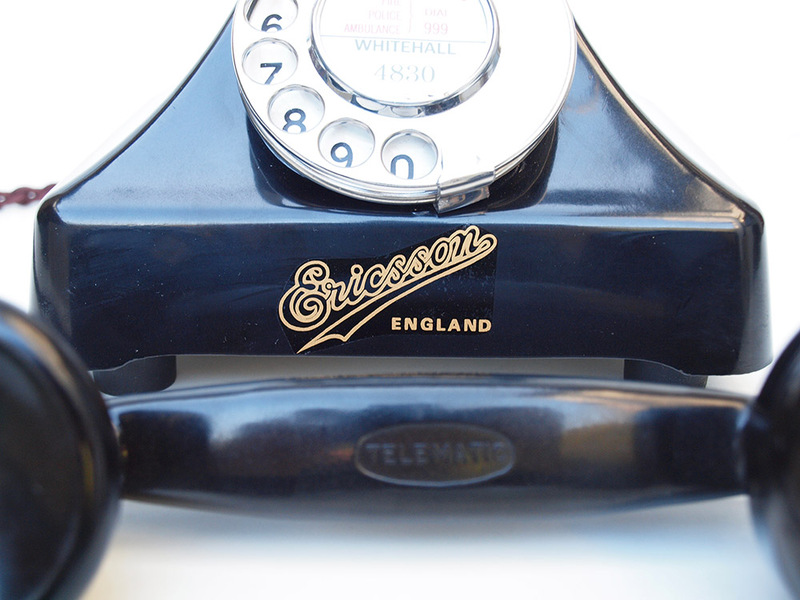 I have added a beautiful Ericsson gold decal which looks wonderful. 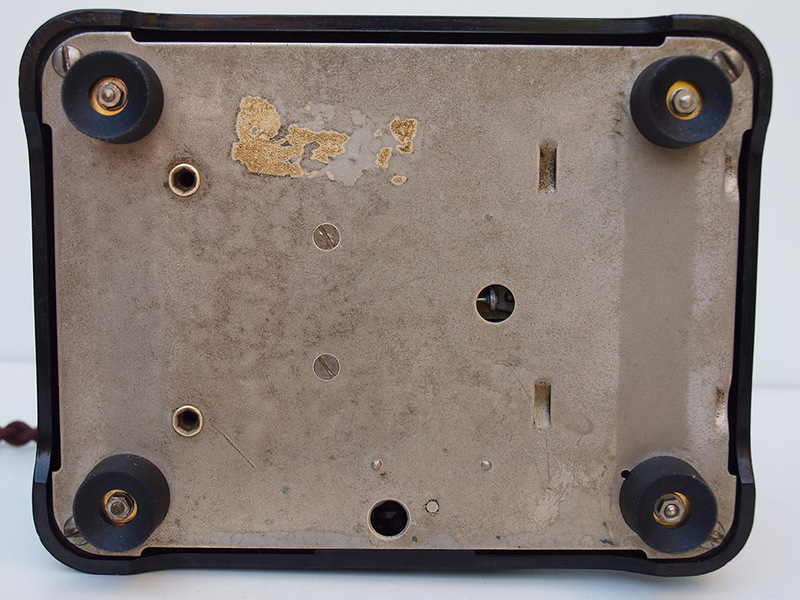 The internals have been upgraded to genuine GPO 232 so that it will work perfectly. I have also fitted new feet. This telephone has been converted to work perfectly and is ready to plug in and go for many more years to come. I can make a dial label with your information at no extra charge. Simply fill out the details you would like on the check out system.